After the solid gains noted two weeks ago and throughout part of last week, things have turned around significantly for the XRP price. These past 24 hours result in a net 7.6% loss in USD value, and a 5.5% loss against Bitcoin. This is not the momentum people had hoped for given this week’s Swell conference . One could argue the overall bearish market momentum isn’t helping XRP all that much. There is some merit to such a statement, although the XRP price was bound to face another correction sooner or later. Whether or not this dip to $0.51 is the end of that correction or only the beginning, is very difficult to predict at this time. Despite the negative price momentum, things are still going according to plan for Ripple’s XRP. The digital asset has been added to the Crypto.com – formerly Monaco – cryptocurrency wallet and card application. This allows users to buy, sell, store, and send this currency through this application moving forward. Aussie Investor has taken a rather interesting stance on the cryptocurrency market as a whole. His statement of how XRP dragged other markets in the green over time has some merit. 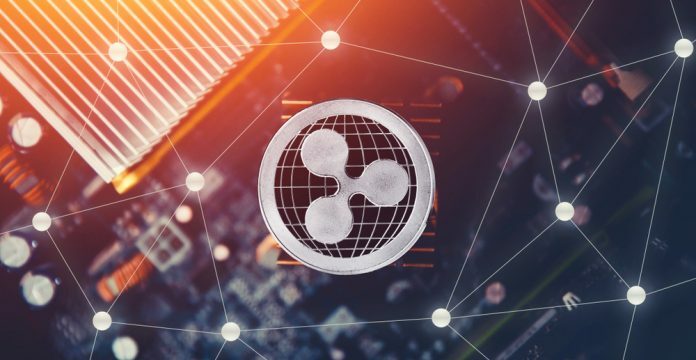 With the current xRapid and Swell momentum brewing, one would expect a massive XRP price jump,. So far, it seems the real news triggers a big dump, as has been the case in this volatile industry for some time. Food for thought(2): The whole crypto market is down. Last month it was #XRP that pulled the sea of red into green. Combine that knowledge with Swell/xRapid launch/exposure, and we’re going to see unprecedented $XRP investors who are itching to buy in. Explosion is imminent. IMO. It does not happen all that often one sees a funny meme associated with XRP. The tweet below is quite telling in this regard, although it is not officially condoned by the Ripple team. Having a good time in cryptocurrency is always possible, even when the market momentum has turned bearish for no apparent reason. Determining the future momentum of XRP is nigh impossible in this day and age. Cryptocurrencies and digital assets are subject to analysis, yet unpredictability remains one of their main selling points. For the XRP price, anything is possible at this stage, albeit remaining above $0.5 seems the most logical outcome. A recovery might materialize at any time, but for now, the onslaught will continue.